Ghana has officially banned flights from 4 West African countries; Guinea, Sierra Leone, Liberia, and Nigeria, citing concerns about the rapid spread of the Ebola virus, which has claimed several lives. Charles Asare, Managing Director of the Ghana Airport Company, said the measure was part of a set of emergency management plans officials are rolling out to combat the spread of the virus. Continue.. The government there has also implemented strict restrictions on the movement and management of Liberian refugees in camps in the country. 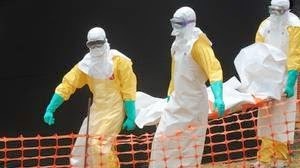 Health Minister, Kwaku Agyeman-Mensah, urged Ghanaians to bear with the government as they work to contain the virus. "Preparedness is not an event but a process," he said.